The opening round of the Finnish Electric Touring Car Nationals was held in Lahti last weekend. The event was held on ETS carpet and as part of a hobby fair, attracting both many drivers and spectators. The competitive Touring Modified class saw Miko Teponoja taking the overall TQ in the tie-breaker with Joel Valander coming in 2nd on the grid. The opening A-main saw the TQ holder taking the win from Georgy Chmigal while in A2 it was Joel Valander who took the win from Miko in 2nd. 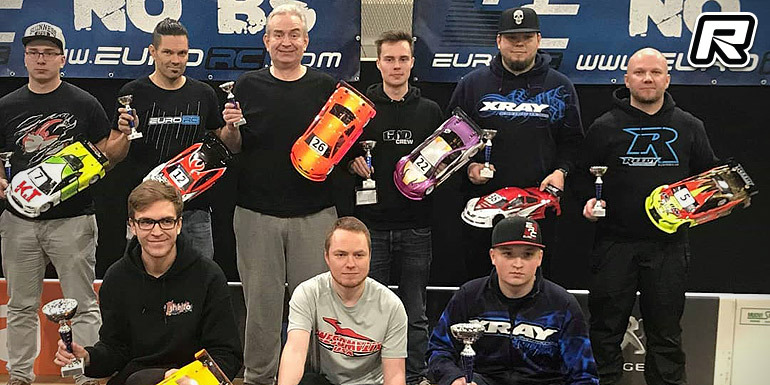 The decisive third A-main again saw Miko holding the upper hand from Joel, and so it was Miko with the overall win from Joel 2nd as Georgy rounded out the top 3 in front of Vesa Yli and Henry Salmen. 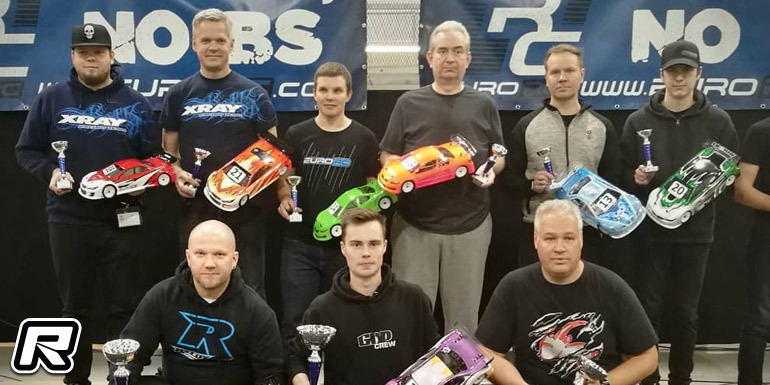 Over in the Pro Stock class it was Leevi Martikainen with the TQ from Vesa Yli and the two would also make the 1-2 after the triple A-main events. Vesa would take a close win in A1, however A2 and A3 went to Leevi for the overall from Vesa in 2nd. Teemu Saarinen came in 3rd from Henry Salmen 4th and Lasse Ilvessalo in 5th.